The 2016 African boxing championships were held in Yaounde Cameroon in March of 2016. The championships doubled up as the qualifiers for the 2016 Olympics with the top three finishers in each weight categories being granted a place at the Olympics. Rayton Nduku Okwiri was the only Kenyan to earn a direct berth to the Olympics. 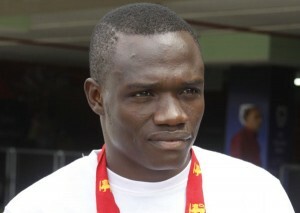 In the process, he became the 2016 African champion. 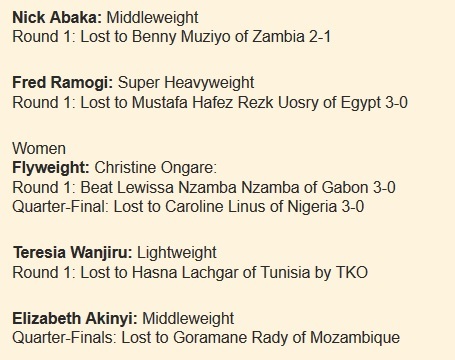 Kenya won a total of seven bouts. 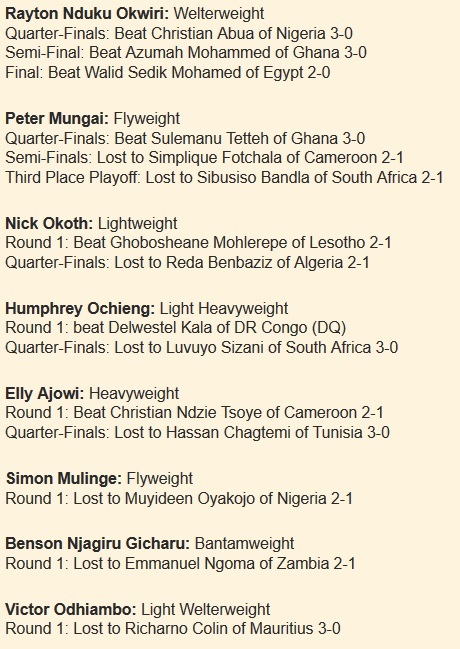 This entry was posted in kenya boxing results, Kenya Sports news and commentary and tagged benson gicharu, elly ajowi, fred ramogi, humphrey Ochieng, nick abaka, nick okoth, rayton okwiri, simon mulinge. Bookmark the permalink.